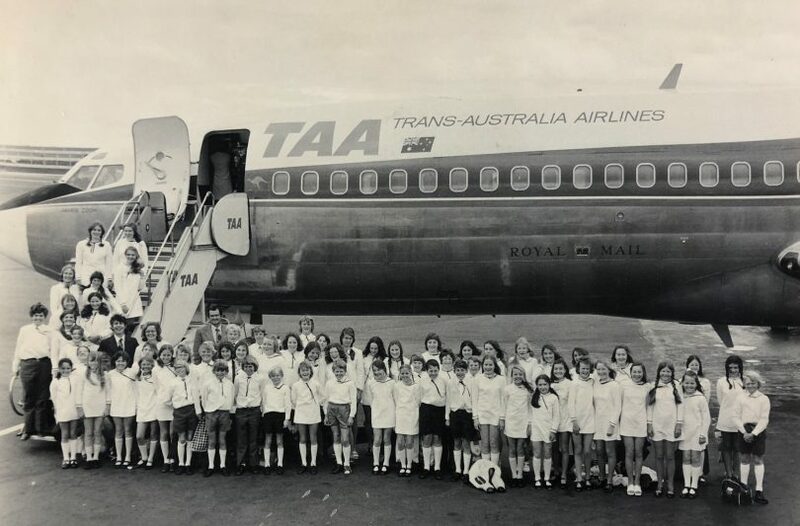 Woden Valley Youth Choir in 1973 when it travelled to Sydney for the City of Sydney Eisteddfod. Photos: Supplied. What started 50 years ago in the lounge room of a home in the then developing Woden Valley has become a constant force in the cultural life of the capital and an important avenue for young people to literally find their voice. The Woden Valley Youth Choir recently celebrated the 50th anniversary of its founding on 11 February 1969, and was recently honoured at the ACT Government’s Gold Awards at Albert Hall. The choir is preparing for an anniversary concert at Llewellyn Hall on 24 August and is reaching out to alumni to join it, particularly those who have gone on to musical careers and would like to perform as guest artists. Two of its artistic directors, founder Don Whitbread and Alpha Gregory, have been awarded OAMs, and the choir has been in constant demand to perform at official and community events, singing for royalty and dignitaries in Canberra, and touring throughout Australia and overseas. It has recorded a dozen albums and given hundreds of young people the opportunity to learn to sing and to perform. Mr Whitbread, who founded the choir with his pianist wife Barbara, said it had been a great joy to see it still existing after 50 years. 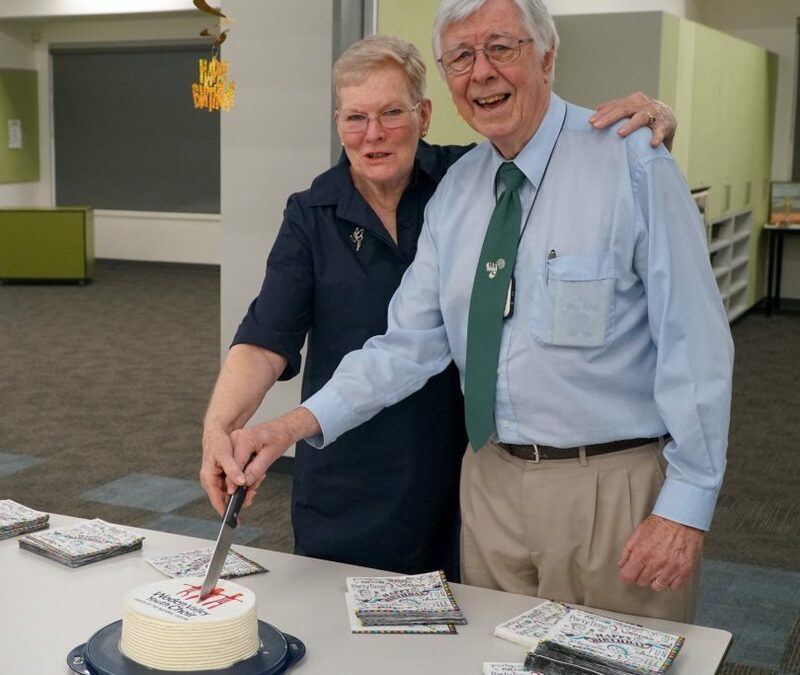 Artistic director for its first 28 years, Mr Whitbread oversaw the rapid growth of the choir that began with 29 children recruited from the local area in his lounge room in Pearce. 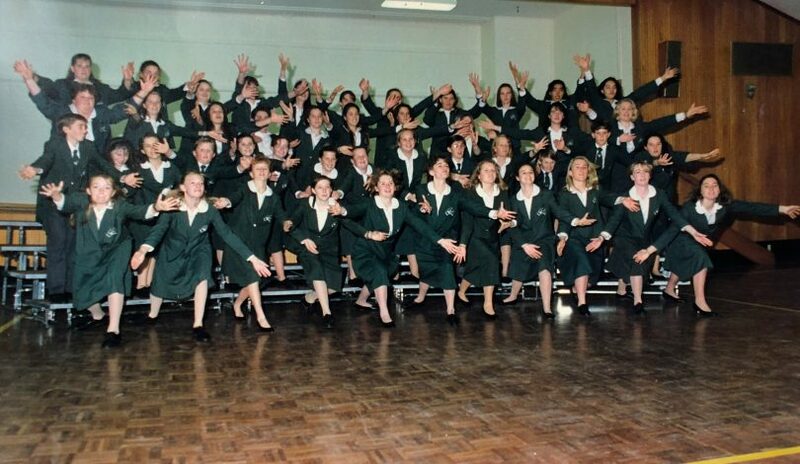 A historical photo of the Woden Valley Youth Choir. A former schoolteacher, Mr Whitbread said local children in the greenfields area had to go to Civic to join a choir or orchestra so he and his wife decided to do something about it. “By the second year we had 48 kids and couldn’t fit into the lounge room,” he recalls. The second annual concert had to be staged in the local school hall, which after costs made $72. Soon the choir was aiming at eisteddfods and tours to provide incentives for members, garnering a number of prizes. From the beginning, Mr Whitbread set the bar high. As the positive reviews came in and its reputation grew, the choir found itself performing at significant events at venues including Government House and the Lodge. It performed at the Royal Gala Performance before the Queen and Prince Phillip in Brisbane for the opening of the Commonwealth Games in 1982, and returned north for Expo in 1988. The choir has performed for the Queen three times, as well as the Prince of Wales and dignitaries such as Nelson Mandela. Performing for and meeting such famous people was very exciting, and not just for the kids. Alpha Gregory and Don Whitbread at the choir’s birthday party. At the same event, Prime Minister Malcolm Fraser was in earnest conversation with someone through one of the choir’s songs, drawing the ire of his music-loving wife, Tammy. “Go and tell the PM not to talk during the singing,” a staffer was told. Mrs Fraser also gave a copy of the choir’s latest record to every head of government at the event. It also was the first choir to perform at new Parliament House. Mr Whitbread took the choir on five overseas tours and Ms Gregory two, visiting the UK, Europe, the US and Japan, singing in places such as Westminster Abbey and Washington’s National Cathedral. In Australia, the choir has undertaken country tours, taking music to outback towns such as Broken Hill. In Canberra, it is a regular at community events such as Carols by Candlelight and often performs at aged care homes. The only blip Mr Whitbread can recall was a concert in a hall in Ulladulla where the stage was lit by strong garden lights, which saw some of the choristers faint. For the first 28 years, the choir was an amateur operation that did not charge fees and relied on grants and fundraising. “I believed in allowing every kid to learn to sing irrespective of their financial situation,” Mr Whitbread said. Now under the direction of Olivia Swift, the Woden Valley Youth Choir consists of six choral groups and rehearses every Tuesday evening at Charles Weston Primary School in Coombs. Recently they have formed a choir for young men with changing voices so that they can continue to sing even when the inevitable happens. Many of the 1000 or so alumni have gone to achieve great things in music as instrumentalists, vocalists or in production and the choir is hoping they can return in August. The choir has set up an email address for alumni – wvyc.50th@gmail – and for more information on the choir go here. I went to school at Melrose High with David Whitbread, the son of Don and a member of the choir. Ten years later I worked with him at the National Film and Sound Archive. It goes to show that we were the big country town back then, that you would encounter someone you went to school with years later in the workforce.